Greg Sfarzo Explains What Sets Sfarzo Strings Apart From The Competition - Welcome To All That Shreds Magazine! How do you get your strings tonality to each musical genre? GS: Starting in 1984, the Sfarzo family was very heavy into the San Francisco music scene. Not only promoting shows, but we owned two substantial musical instrument stores. Drum World, and House of Music. These stores were over 6,000 square feet, and we carried almost every brand of guitars and amps imaginable, and our customers were touring artists from all genres of music. Way before Guitar Center even existed. We were located just 1/2 mile from The Cow Palace which was a huge venue that all the major acts would play at when they came to play in San Francisco; they would come to our stores and buy guitars and strings. This knowledge, and over a 40-year span in this industry has helped us understand the needs of guitarists in not only the equipment they needed but the sounds they wanted to establish. One day in our store in 1984, I was asked what makes a good string by a guitarist from the band Quick Silver Messenger Service and his name was Bobby Flure. I had no idea, but that was the catalyst for me to start research and eventually study metallurgy. Finding out the characteristics of different kinds of metal alloy and the results they produce on a musical instrument. Because I was, and still am in the music industry, I have access to many guitarists worldwide to try our strings, and over decades came up with formulas that we felt are some of the best around to this day. This knowledge enables us to select specific alloy configurations, as well as core to wrap speeds and tensions when manufacturing the product to fit specific genres of music. Now that said, the result of our brands is what “we” feel is genre specific… but of course, strings are subjective, so from player to player, players are the ultimate decider of what strings best fit their needs. So in a sense, we are starting the process of recommendation, so that the guitarist can try and select a model we have that best fits them. Does it matter what an artist endorses? I’m sure they use other strings too. GS: This is what cracks me up. Believe me when I say… that whatever a string product an artist claims to endorse, they do use different brands. Not saying all guitarists, but there are many high profile guitar players that call us for product while being endorsed by another company. Of course, I can’t tell you their names, but you would be amazed. Our company policy is that if we give free strings, artists will endorse in a second. But we do not provide free strings. National artists pay for our product with no problem. That secures a significant relationship between Sfarzo Strings and guitarists from all over the globe. There is much respect between our customers and our staff. Nothing for free as they say. What makes you say the Sfarzo SFT Screamers are perfect for metal? GS: Most electric strings are Nickel Wound. However, there are many different types of nickel. So what is the differentiator? Each string manufacturer has their formula, wrap speeds, tensions and most important the type of machines the strings are made on. The machines may be Italian, Chinese, German or U.S. made machines. So, that said, a string is not a string as some think. No, each manufacturer has it’s own formula and assembly process. I admire every string manufacturer that is out there. It’s a small list as there are hundreds of brands and a handful of actual manufacturers. It’s like General Motors making Chevrolet, GMC, Cadillac. People think three different companies, but its the same company producing three brands. Now, that is ok! as most manufacturers in any industry do a private label for other brands. 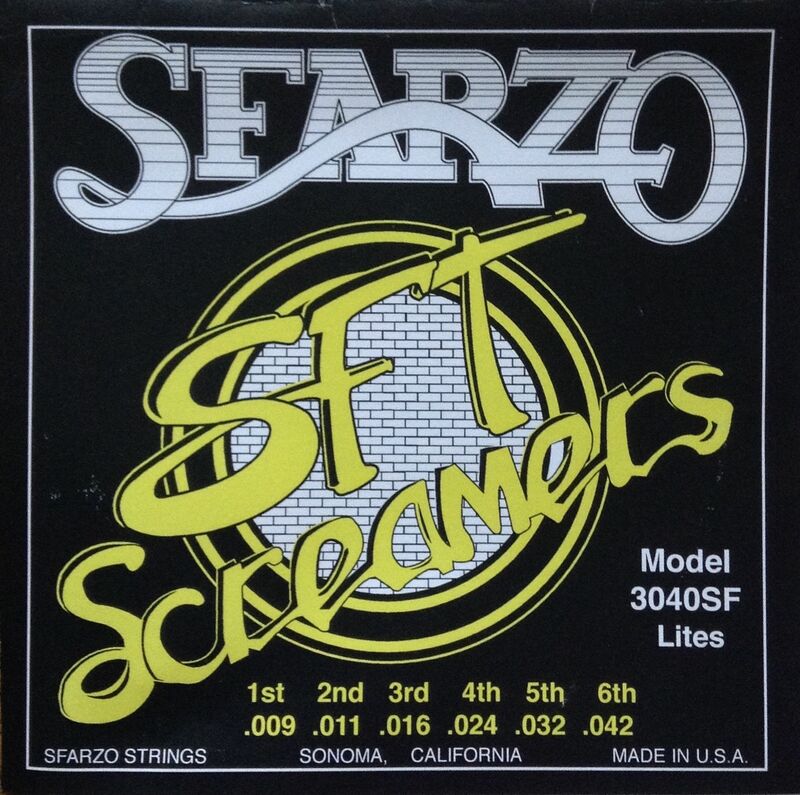 That said, Sfarzo String Company, located 65 miles north of San Francisco owns it’s own custom machines made here in the USA, and quite frankly, these machines had at one time represented many of the earlier brands of strings between 1980 and 2000. Because we manufacture, we have the ability to experiment. We have artists come here and play around with formulas they have in mind, and it’s a heck of a lot of fun. To answer your question, metal players look for high sustain, crunch, and output. Our SFT Screamers are meant to achieve that sound. We use a specific NPS nickel wrap wire that has higher iron content for output, and our wrap speed and tension on the machines are configured to allow the string to vibrate in a way that increases sustain. Some say they get some strange killer sounds out of our strings that are perfect for metal music. Consider this; the core wire is steel and steel are magnetic. But you can’t have an exposed steel core because it will rust, so it is plated to prevent rust. The wrap wire is mostly nickel, and nickel is not as magnetic as steel is, so your output is coming from the steel core, whereas the tone is a result of the vibration coming from the wrap wounded around the core. So there are ways we can increase the iron content to achieve what we feel is a great metal string. Of course, I cannot go into the detailed construction of the string. Bottom line is this… whatever we recommend to a guitarist, is our best recommendation. If it is not what they like, we have other models that may. We are the small guy if you compare us to the big guys like Daddario and so on, but we can say… we feel we make a pretty killer string here in Sonoma California and hope your viewers could give us try. They won’t be disappointed in our attempt to at the least get them on our side. That is the best we can do.